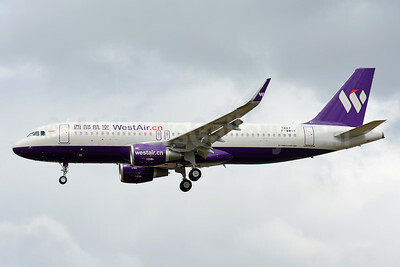 (West Airlines Company Limited) (PN/CHB) (Chongqing) 2007 - Current. Photos. Framable Color Prints and Posters. Digital Sharp Images. Aviation Gifts. Slide Shows. West Air (China) Airbus A319-133 D-AVYB (B-6413) (msn 4452) XFW (Gerd Beilfuss). Image: 905488. West Air (China) Airbus A319-133 D-AVYB (B-6413) (msn 4452) XFW (Gerd Beilfuss). Image: 905507. West Air (China) Boeing 737-36N B-2115 (msn 28606) PEK (Michael B. Ing). Image: 921672. 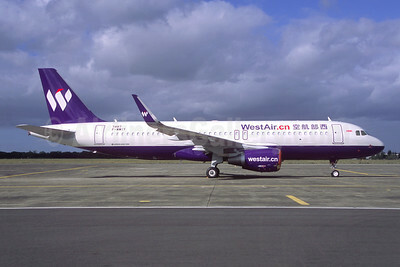 West Air (WestAir.cn) (China) Airbus A320-214 WL F-WWIY (B-8980) (msn 7487) (Jacques Guillem Collection). Image: 945571. West Air (WestAir.cn) (China) Airbus A320-214 WL F-WWIY (B-8980) (msn 7487) TLS (Paul Bannwarth). Image: 938890. 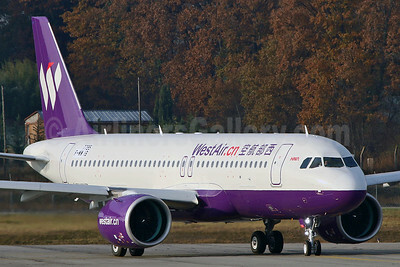 West Air (WestAir.cn) (China) Airbus A320-271N WL F-WWIB (B-8867) (msn 7795) TLS (Eurospot). Image: 940398. 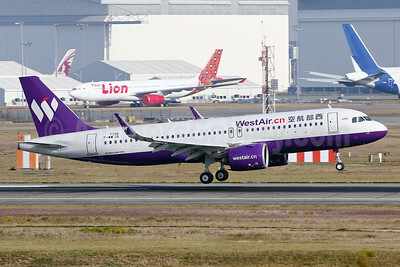 West Air (WestAir.cn) (China) Airbus A320-271N WL F-WWIB (B-8867) (msn 7795) TLS (Eurospot). Image: 940399.